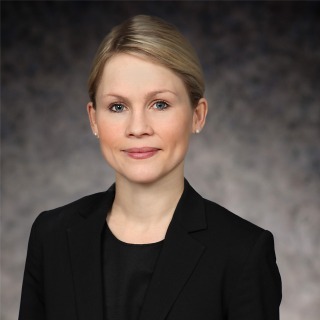 Anne Hukkelaas Gaustad is a partner in Hughes Hubbard’s Anti-Corruption & Internal Investigations and Arbitration practice groups. She has assisted on a range of anti-corruption matters as well as international commercial and investment disputes. Anne assists clients on matters involving anti-corruption compliance, corporate governance, corporate social responsibility and securities laws. Anne has particular experience assisting clients with anti-corruption compliance matters, including the design and implementation of anti-corruption compliance programs, conducting third-party due diligence reviews and assessing risks under international and national anti-corruption frameworks. Her experience includes the global risk assessment and compliance review of a multinational “supermajor” oil and gas company, the risk assessment of a multinational automotive company and assisting with anti-corruption matters involving the World Bank Group. In connection with her anti-corruption work, Anne has traveled extensively, including to Angola, Azerbaijan, the Republic of the Congo, the Czech Republic, France, Gabon, Indonesia, Kenya, Lebanon, Myanmar, Nigeria, Norway, the Philippines, Russia, South Africa, Turkey, Uganda and the United Kingdom. Prior to joining Hughes Hubbard, Anne worked at law firms located in Oslo, London, and Paris. In addition, she served as a law clerk in the Office of The Prosecutor (Appeals Section) at the International Criminal Court in The Hague. Assisting a multinational automotive company in connection with the performance of a global risk assessment and design of compliance policies and procedures. Assisted a multinational “supermajor” oil and gas company in connection with a worldwide risk assessment and compliance review as part of an independent monitorship. Assisted with compliance for a large sovereign wealth fund. Assisting a Norwegian company in connection with anti-corruption investigations related to a development project in Tanzania. Worked on an investigation for a multinational telecom company relating to allegations of corruption involving operations in Tajikistan, Kazakhstan and Uzbekistan. Assisted on anti-corruption matters involving the World Bank Group, corporate social responsibility, WTO matters, and regulatory EU/EEA matters. Assisted in a range of international commercial and investment disputes in the construction and oil and gas industries.